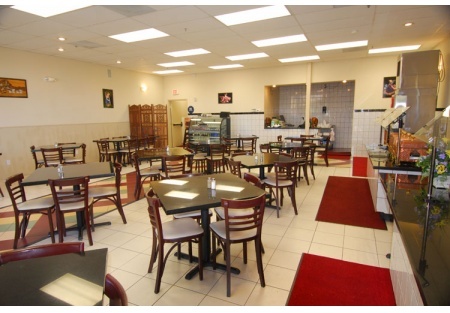 This lovely restaurant is located in one of the fastest growing cities in the Sacramento area. The shopping center has an excellent anchor with many national chain restaurants that complement the center. The restaurant offers Northern and Southern Indian selections. Customers who select the buffet for lunch will be pleasantly surprised by the presentation and food choices. This is not your run of the mill buffet. Dinner is more traditional style Indian dining with a huge selection of appetizers, Thalis, breads, and entrees which can be ordered ala carte or as a dinner. The restaurant also provides catering services for your party, wedding reception or other needs. Sales average $32,000 a month in this 2200 sq. ft. restaurant. The rent is $5200 a month with a $1000 in monthly CAM fees. Take the next step and complete the online confidentiality agreement and you�ll be provided with the restaurant name and address. Also you will given priority notification to new listings in the future, prior to the general public, giving you the best chance to �scoop in� the best opportunities. There are also more photos available to our registered buyers.This is a Paramount Restaurant Brokers, Inc. DBA SellingRestaurants.com listing. Shopping center has an excellent anchor with many national chain restaurants that complement the center. This is not your run of the mill buffet. Sales average $32,000 a month in this 2200 sq. ft. restaurant. The rent is $5200 a month with a $1000 in monthly CAM fees.